Summary: For the younger Star Wars followers and those who must own everything to do with the space opera, this will keep them happy. There may be no plans to make that final post Darth Vader trilogy of Star Wars movies George Lucas used to talk about in the 1990s along with the prequels he eventually brought to the big screen, but he is still keen to keep producing stories about the Clone Wars. This, a second release featuring four episodes from the Star Wars: The Clone Wars animated television series, takes the action down to the clone army’s perspective with the famous faces, if not their voices, making appearances to liven up proceedings. The events here continue on from vol 1 in that they are set immediately after the Attack of the Clones film and again there is a three-part story. The standalone tale is a classic tale of confidence as Captain Rex and Commander Cody inspire a rookie unit to victory against a Separatist droid attack on their moon base near Kamino. Putting the Clone Army troops centre stage provides a refreshing change from the Jedi with their Force powers and light sabres being needed in every scene in the films. The moral message is a little heavy handed and the solutions to getting out of tight spots rarely rely on cunning tactics, yet it is a nice warm up for the main event. 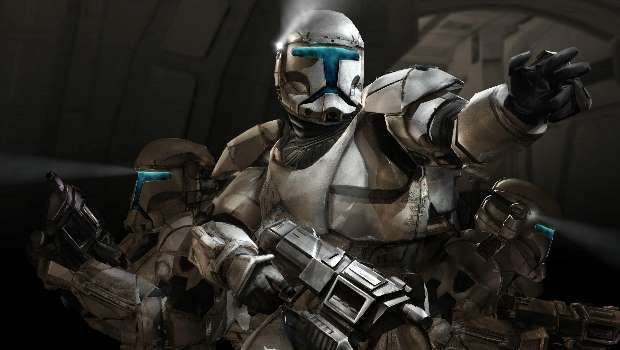 There’s a also a few references to the way the clone troops are bred on Kamino to give fans a little more insight into the Star Wars universe. Said main event sees the Jedi re-introduced as first Wat Tambor’’s Separatist forces invade Ryloth and Anakin Skywalker’s gets involved in a space fight, Next Obi-Wan Kenobi takes the battle to the surface of Ryloth before Mace Windu convinces the clones with Twi’lek freedom fighter Cham Syndulla’s troops for a final showdown. The battle sequences here are reminiscent of the prequels in scale, making this a good companion piece, while again there is a moralistic message behind all the fighting as innocent civilians are caught in the crossfire. As a series aimed more at the teenage fans of Star Wars, these episodes have just the right amount of trivia, familiar characters and battle action to keep the target audience entertained and even the older followers of the sci-fi franchise will enjoy the simple pleasures on offer here. As with most spin-off series, there’s not a lot of depth and it’s very unlikely this will be a DVD that gets replayed to death, but for the younger Star Wars followers and those who must own everything to do with the space opera, this will keep them happy.